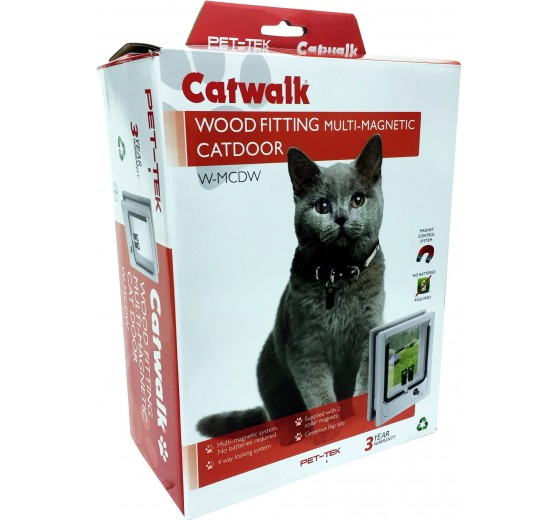 This Catwalk® Magnetic Cat Door is designed for wood. 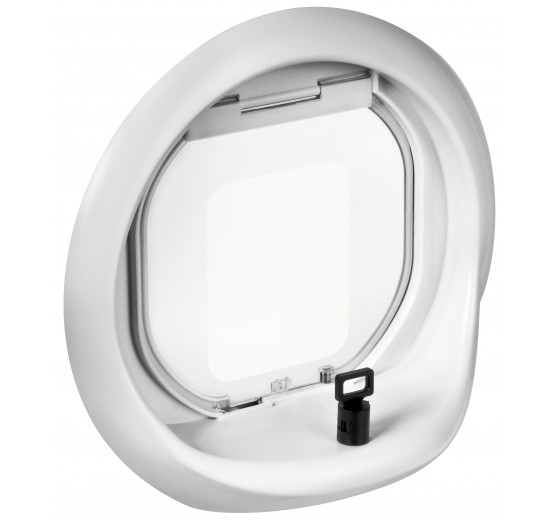 For a glass fitting door please refer to our Catwalk® Glass Magnetic Cat Door model G-MCD. 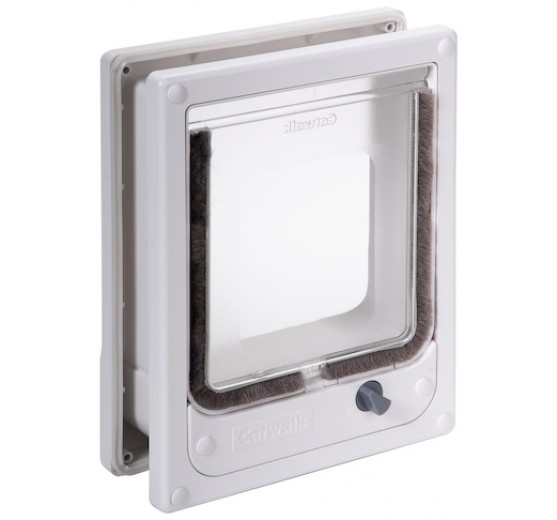 The all new Multi- Magnetic opening system will help keep stray cats from entering your home. A small magnet is attached to the cat’s collar, which activates the multi-magnets that operate the opening latch to allow pet entry. Once the pet has entered the system will automatically close the latch helping to prevent entry by stray cats. The Multi Magnetic system has a similar action to that of an electromagnetic door, however, does not have the problems associated with electromagnetic doors, such as battery failure or electrical failure. No batteries are required, resulting in lower running costs by avoiding inconvenient battery replacement. Your pet will not be locked out or in, due to flat batteries or electrical failure. 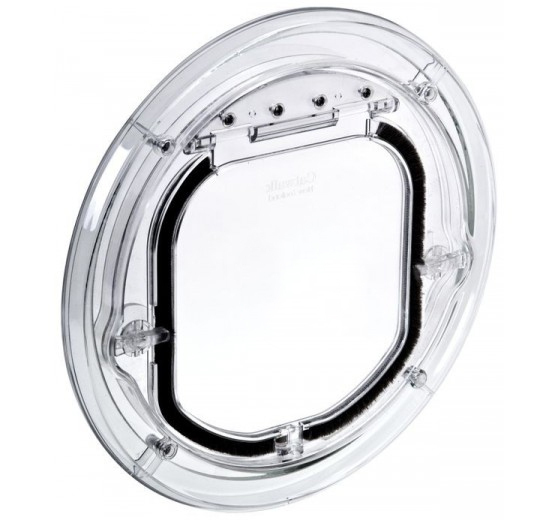 The door is manufactured from high quality, high impact Polycarbonate. This high impact material is also used for bullet-proof vests and aircraft windows. 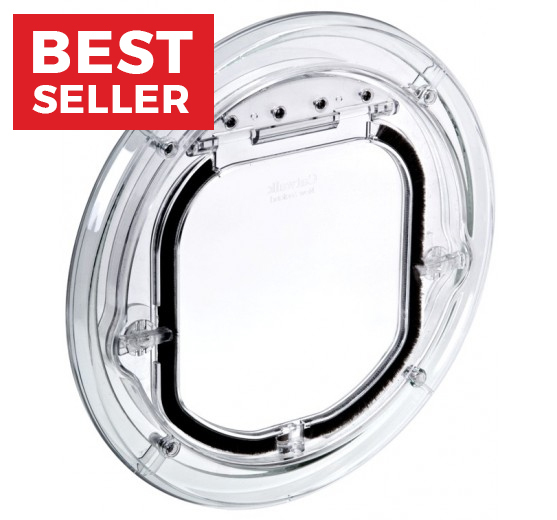 A four way manual locking system is provided to allow the owner flexibility with the pets movements. 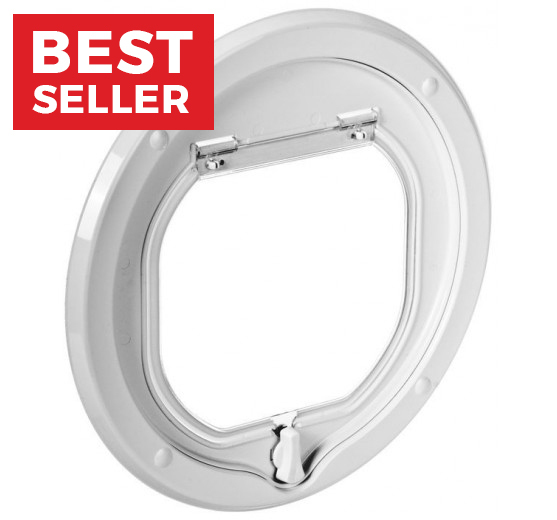 In-only position will allow your cat entry but prevent your cat from leaving. Out-only position will allow your cat to leave the house but prevent the cat from re-entry, it will also help to keep stray cats from entering. The locked position will prevent the pet from both entry and exit. The In and Out position will allow both entry and exit.